Amazon’s tax arrangements with Luxembourg are being investigated by EU regulators, as the online retailer becomes the latest global company to be accused of striking tax-minimising deals with member states that may break the bloc’s rules. The European Commission is examining whether Luxembourg broke EU state aid rules by agreeing to a deal that allows Amazon to operate almost tax free in Europe, the executive announced yesterday (7 October). 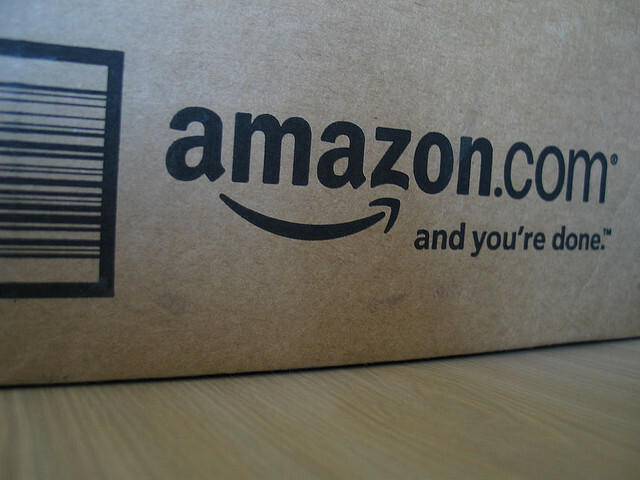 Amazon is structured so that all online sales in Europe are technically between customers and a Luxembourg company. Despite racking up almost €14 billion of sales each year, Amazon’s main European subsidiary, Amazon EU, reports almost no profit. That is at least partly because it pays hefty fees to its immediate parent, Amazon Europe Holding Technologies SCS (AEHT) – a tax exempt partnership – in return for using Amazon intellectual property. The Commission said it was investigating a 2003 deal between Amazon and Luxembourg that underpins this arrangement. The Commission said the agreement could give Amazon an economic advantage over other companies without such rulings. The US company denied receiving preferential treatment. Amazon is already locked in a court battle with the US Internal Revenue Service over the arrangement by which the Luxembourg partnership came to enjoy the rights to sell Amazon’s intellectual property outside the United States. Amazon joins fellow US company Apple in the Commission’s sights after the watchdog accused Ireland of swerving international tax rules in its tax arrangements with the iPhone maker. Tove Maria Ryding, tax coordinator at the European Network on Debt and Development (Eurodad), a network of 47 non-governmental organisations (NGOs) working on development cooperation, welcomed the announcement. “It is good news for European citizens that the Commission questions these arrangements between transnational companies and European Union member states as they seem to undermine a level playing field which is at the expense of small and medium enterprises. We hope that the Commission is not hampered by Luxembourg's unwillingness to disclose the true owners of corporate subsidiaries in Luxembourg. This was the case in the investigation into Fiat’s alleged subsidiary ‘FFT’ (Fiat Finance and Trade)”. The public outcry over tax evasion by multinational companies have triggered a quest for pan-European solutions to tax fraud. As the financial crisis rumbled on, multinational technology behemoths such as Apple, Google or Amazon found themselves under the spotlight, accused of dodging taxes, provoking the fury of hard-pressed taxpayers. The European Commission in December 2012 released a package of measures to tackle the estimated €1.3 trillion lost to tax evasion and fraud in Europe. The EU executive later widened its probe into how multinationals use countries such as Luxembourg to cut their tax bill.